I am a sucker for bargain bins at the craft store… You know the one right inside the door with $1 goodies inside. I usually grab one or 2 things and throw them into my cart and figure, I will use them someday! This time, I happened to grab a few ink pads. They were really cute colors and I knew we would think of something. So here it is! 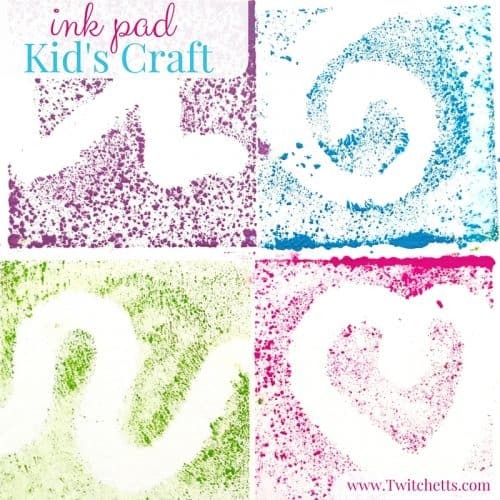 Our ink pad kid’s craft! My daughter loves creating art projects. 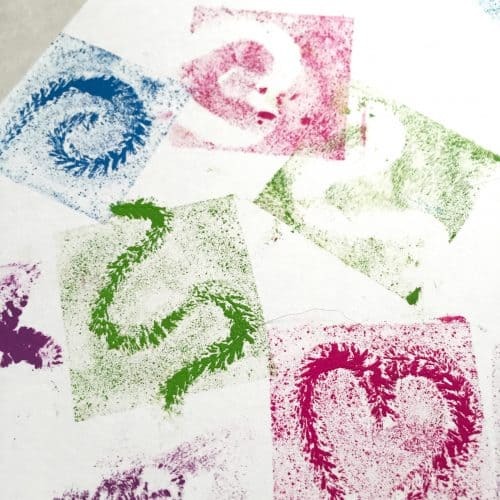 This project gave her the freedom to create little works of art in whatever fun shape she wanted. Her favorite shapes were the heart and the zig zags. Ink pads. As many or few as you like! 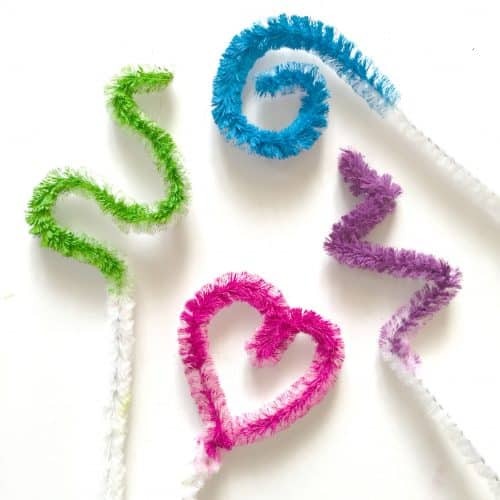 Cut your pipe cleaners in half and bend them into different shapes. If your kids are old enough let them design them. If they are younger you can create a few for them. 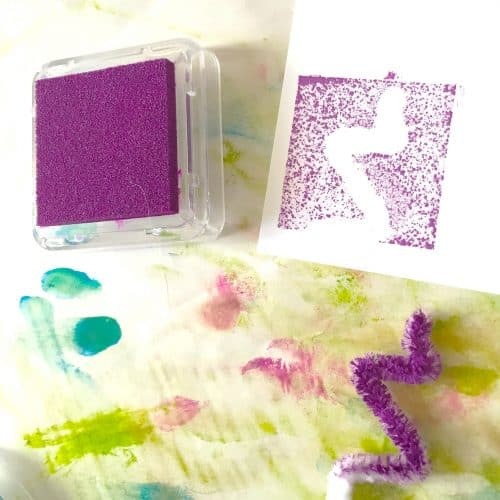 Have them place their pipe cleaner onto their paper and use the ink pad like a stamp! When they lift up they will see the silhouette left behind by their pipe cleaner. Have them do different shapes with different colors. I helped with some, then just let her take the lead! To keep getting silhouettes they need to make sure to put the white side down on the paper when stamping. However, once they have been stamping a while it might just get flipped. 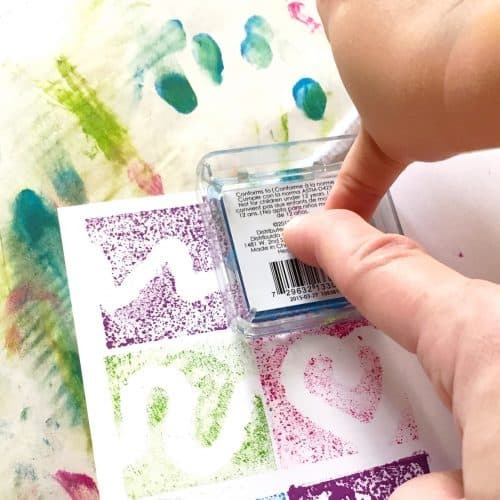 In this case, it creates another fun looking stamp. Since the pipe cleaner is saturated in ink it leaves a darker shape! Which also looks really cool and is a lot of fun! 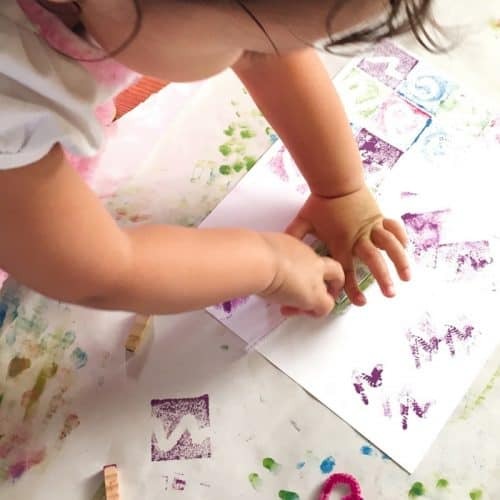 You could have a lot of fun creating cards, bookmarks, wrapping paper, or just create some fun art. The ink is so bright and vibrant that V really had a great time creating this piece. It was a bit mess, but worth every minute! 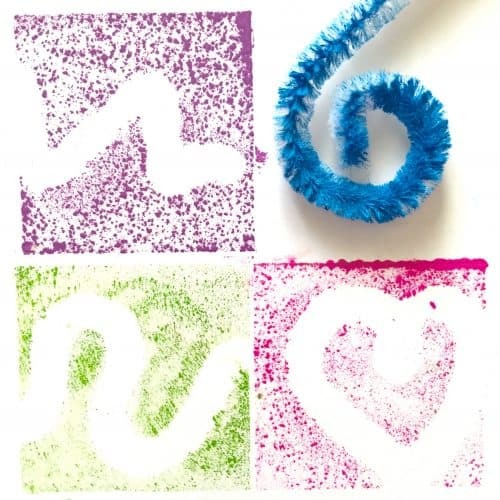 Check out this Keepsake Toddler craft we made with more of our bargain bin finds! 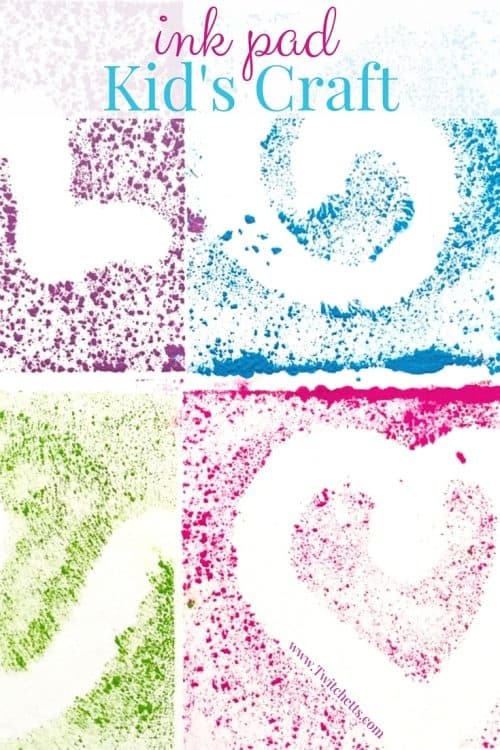 I have some old scrapbooking stamp pads that would work great for this! !